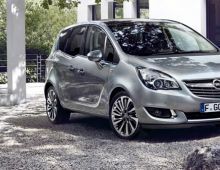 "The Meriva B is the second generation of the Opel Meriva produced by German make Opel. 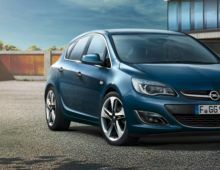 This is a compact people carrier brought onto the market in June 2010. 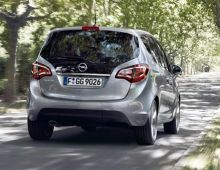 The new Meriva is more refined, more efficient and more functional than ever before. 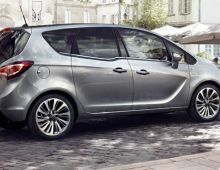 The nose of the new Meriva consists of an elegant chrome grille and of headlights fully remodelled with LED technology. 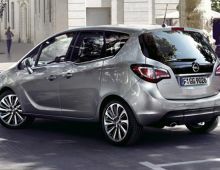 The main distinctive features of this new Meriva are its opposing rear doors. In fact, they're front-opening. 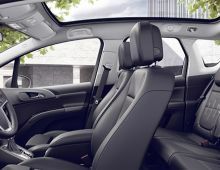 They allow for better access to the passenger compartment, among other things to put a child in its car seat, for example. 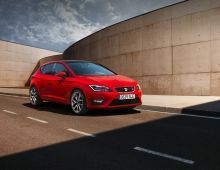 Its many strengths include : its smooth and abstemious engine, its access to the rear seats and the leg room it provides."